Why doesn’t my child engage in the behaviors I would like him/her to? Parents often ask this question, and parents of children that are neuro-atypical have even more variables to consider. Figuring this out is actually more straightforward than most people think. Ennio Cippani developed a simple system for “diagnosing” why problem behaviors happen and why the preferred behavior does not happen. Mis-directed Contingencies – the child can do the preferred behavior at the right place and time, but the unwanted behavior pays off better than the wanted behavior. Inept Repertoire – the child does not know how to do the preferred behavior or does not know how to do it well enough to complete the task in a timely manner. Faulty Discrimination – the child knows how to engage in the preferred behavior but is not sure of where and/or when it is all right to engage in that behavior. So, how do you figure out which one of these three you need to address? Simply rule out each of the reasons listed above. For example, to rule out Mis-directed Contingencies, offer your child a very large amount of their most preferred reinforcer (AKA: the payoff, an item or activity that they absolutely love and would do anything to gain access to it), and if they engage in the preferred behavior then your diagnosis is Mis-directed Contingencies. Under these conditions, if your child does not do the preferred behavior, you need to determine if they have ever been observed engaging in that behavior. If they have been observed doing the preferred behavior, but did not do the preferred behavior when offered the huge payoff or if they have been observed engaging in the preferred behavior but at the wrong time or place (it is good to get undressed independently, but not in the grocery store) then the diagnosis is likely Faulty Discrimination. Finally, if you’ve ruled out Mis-directed Contingencies and Faulty Discrimination and your child has never been observed engaging in the preferred behavior, then the diagnosis is Inept Repertoire. I figured out why the preferred behavior is not occurring. Now what do I do? To treat Mis-directed Contingency problems, simply make the preferred behavior payoff better than the other behaviors. To do this, make sure the unwanted behavior does not get the same payoff it used to and add a larger payoff for the behavior you want them to engage in. For Inept Repertoire problems, you have to teach the preferred behavior. There are a huge number of techniques to teach new behaviors, but most involve breaking down the preferred behavior into small steps and teaching each step to mastery. When doing this, provide a lot of assistance in the early stages of learning the behavior and then slowly fade your help until your child is doing the preferred behavior on their own. It is important to make sure that your child gets some payoff for each effort at trying to engage in the preferred behavior so they stay motivated to learn the new behavior. 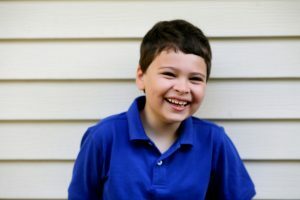 Faulty Discrimination problems require you to help your child learn where and/or when to engage in the preferred behavior and make doing the behavior payoff better in the place you want it to occur and preferably not payoff at all in the places or at the times you do not want it to occur. Frequently, this involves reminding your child where it is okay and not okay to engage in the behavior. This can be in the form of a gesture, visual cue, social story, or verbal reminder before the behavior happens. It can also be in the form of a corrective prompt that occurs as soon as your child starts to do the behavior in the unwanted place or time. In this case, you would provide the gesture, visual cue, verbal reminder, or even physical guidance to get them into the preferred place/time. Make sure there is a payoff for your child when they do engage in that preferred behavior in the correct place and time. Some behaviors are easier to change than others. If you need help, please feel free to contact your friendly neighborhood Board Certified Behavior Analysts at Aveanna Healthcare.